Plugins are very important for every WordPress site for great user experience. As there are a million plugins are available in the WordPress directory. However, which plugins are essential for every WordPress beginners to make a great performance. I’m sharing a list of 10 best must have WordPress plugins for Beginners. When you completely install your WordPress. You need necessary to install some of the useful plugins for your WordPress. Like as Security Backup, SEO, Social Sharing, Cache, or Spamming Comment Prevention plugin. If you are new and want to install any WordPress plugins, Login inside in your dashboard, click on Plugins >> Add New and search for your desired plugin. Install and configuration your plugin in right way. If you need any specific WordPress plugin set up, you can let me know on our Facebook fan page. WordPress SEO by Yoast is the popular plugins. Using this plugin, you can help out to optimize and index your blog/Website on a Search engine ranking. Like as for Google, Yahoo, Bing also Yandex. You can also Generate a Sitemap & check some crawl errors on your WordPress dashboard. Titles & Metas – In this sections, you can determine the title and description for the sites of a home page. Social – Connect your social profiles links on Facebook, Twitter, Instagram and Google Plus pages. If you are looking for a professional security plugin. To secure your WordPress website from hackers, Threats or malicious. Then you can use WordFence plugin for Protecting Your website. WordFence is the most comprehensive WordPress Security plugin for making secure your website. In this plugin there are many features available as a like for firewall, blocking, live traffic, login security measures, and auto-scheduled scanning and more options are available there. If you are afraid of threats or any of these, it’s best and useful plugin ever for all WordPress. Your Speed page performance of your website is much crucial for your visitors. W3 Total Cache plugin helps you to improves your site performance and consuming your database load time. It may also help to cache your page. Some of the web hostings don’t work great with W3 total cache Plugin. In this case of, You might use WPSuper cache. If you want for paid caches and high-performance plugin, then I suggest you use WP Rocket Plugin. 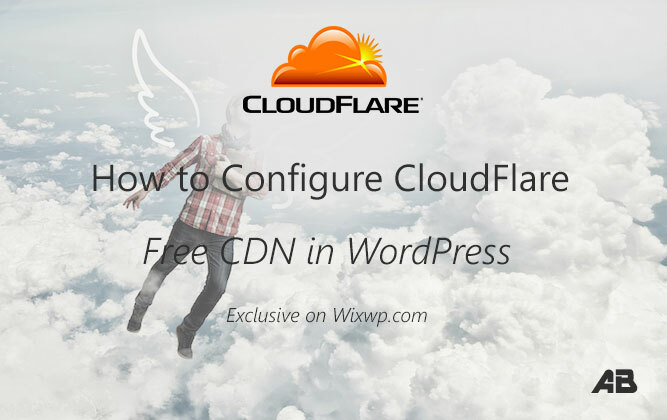 It Comes to both Plugins with Varnish, CloudFlare, Image Optimization, CDN and much more are. I used WP Rocket on my blog. So, far It’s very expensive performance for all time. Probably in your post, there are many spamming comments are generating in your WordPress, and you trouble to manage on them, if you want for receiving genuine comments, you must have to use Akismet Plugin to stop spam coming. Akismet moderated your spamming comments directly to your spam folder. If want to save your WordPress website from crashes or dodgy updates UpdraftPlus is the best choice of your WordPress backup plugin. It allows you to complete backup of your WordPress site uploading Theme and Contents. It may help to download your backup database from the cloud or download to your computer. UpdraftPlus is also an available premium version of the plugin with great features. There are many social networking plugins on WordPress.org. Nobody wants to put the unnecessary scripts that slow down your website. Social Sharing plus plugin helps and easier for sharing your content. It allows you to add anywhere on your site that help to impress your visitors. Contact Form 7 is a WordPress contact form plugin for making your contact page on your website. You can easily customize the form and mail contents on your blog, I am using Divi Modules. If you want then you will need to buy the Elegant Theme. Well, there are many plugins are available for image compress. I don’t suggest to install any more plugins, use FastStone tool to compressing your photos or images by handle after uploading your image files to your WordPress. When You are Writing your post and save often, these can make revisions of your post revesion, With WP Optimize plugin helps to delete old revision and optimize your database to increase your site performance and storage. Wonderful sharing Abhishek! I also want to suggest you to try Trash Duplicate And 301 Redierct. This is free and easy to use WP plugin that helps to find and delete duplicate content in your website and thereby make you safe from being penalized by Google for duplicate content. It’s core functions are duplicate search, view duplicate content, trash individual post, add/delete redirections and lots more.